I thought Valentine’s Day was a great day to post about a spicy recipe. Outside of my family, the one thing I miss about both Cleveland and Indianapolis is drunken noodles. Mint Cafe in Cleveland and Siam Square in Indy are two of the best Thai restaurants I’ve tried. Basil in Charleston is OK (though their shrimp rolls are amazing) but I wasn’t too impressed with Taste of Thai. 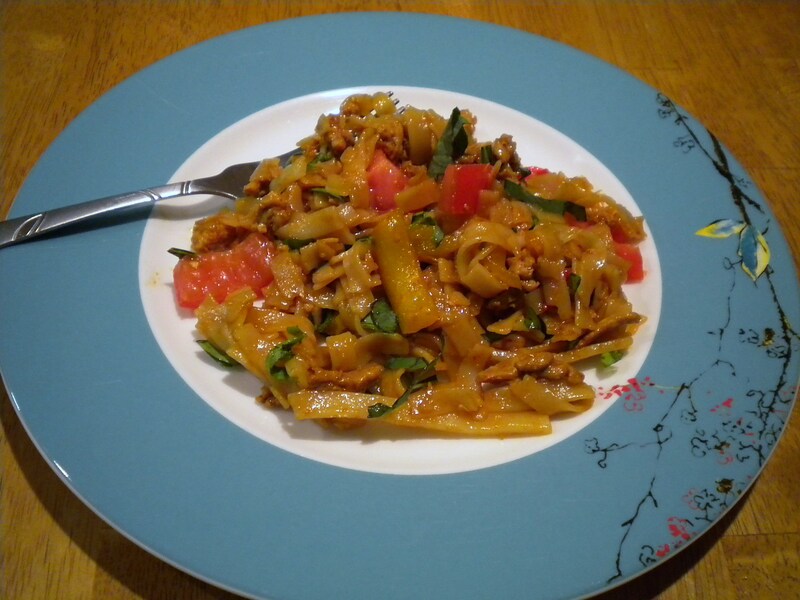 They actually tried to serve drunken noodles with Italian spaghetti noodles……..? Anyhoo, I’ve missed my favorite Thai dish (which, if you didn’t know, contains no alcohol but is named for how much liquid you must drink to overcome it’s spiciness) and decided to try my hand at making it myself. 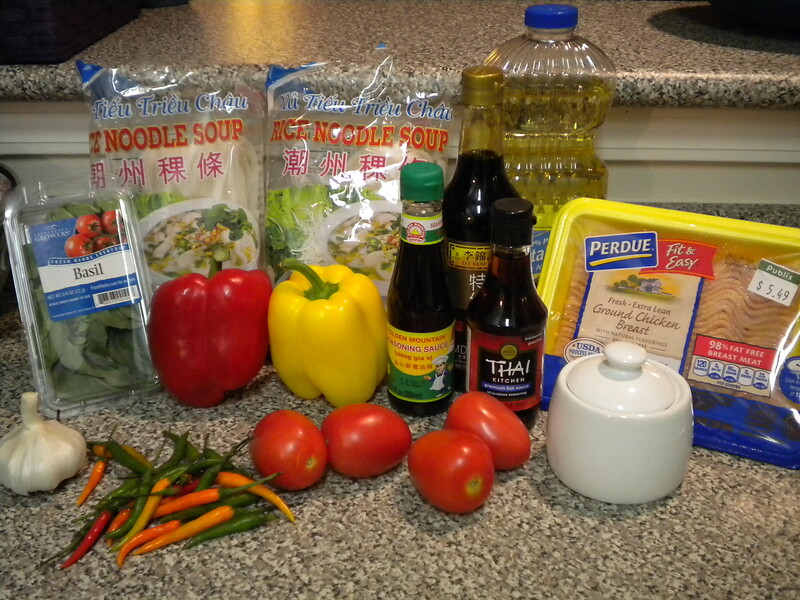 The ingredients in the recipe I found are not all items you can find at your local grocery, but luckily most cities have Asian markets somewhere, and Charleston is no exception. My aunt also procured some ingredients for me from their Asian market near Charlotte, which had a much better selection of Thai chilies. *Note regarding Thai chilies: The demonstration I found on YouTube showed a person preparing chilies that looked larger than what I had on hand. They were able to easily remove the seeds and white areas, which are known to carry the most heat. Mine were so skinny that this method seemed too difficult, so I skipped it and added the whole thing. I DO NOT recommend this unless you like your food VERY spicy. 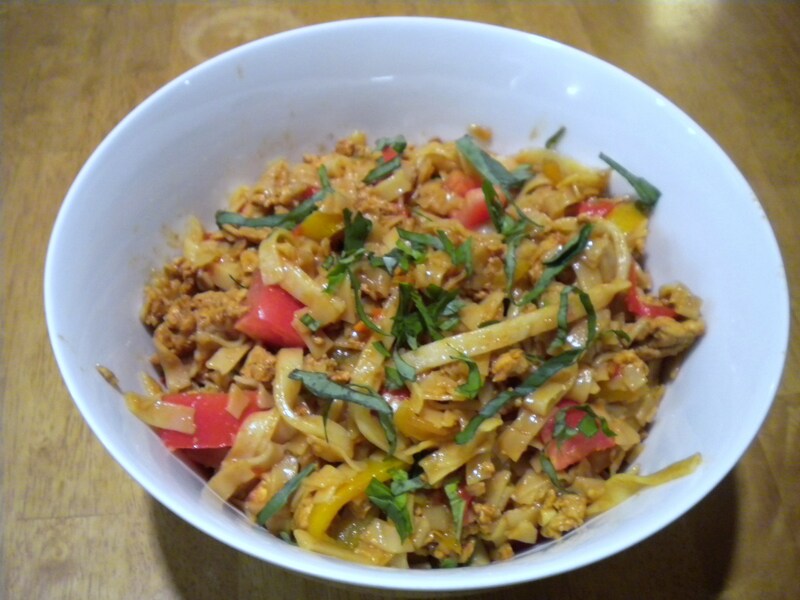 I normally order my drunken noodles with medium spiciness and even that is bordering on too spicy. I’m sure the batch I made would be considered the spiciest at most restaurants, although it seemed to lose a little bit of heat after being refrigerated and microwaved. Meanwhile, heat oil in heavy large pot over medium-high heat. Add garlic and Thai chiles; sauté 30 seconds. (I added the bell peppers with the chilies and garlic, as they seem to take longer to soften. ) Add chicken and next 4 ingredients and sauté until chicken is cooked through, about 4 minutes. Add noodles, tomatoes, and Anaheim chiles; toss to coat. Transfer to large platter, sprinkle with basil leaves, and serve. This recipe made plenty of food, even with using half the noodles. This was so good I don’t even care about finding a great Thai place anymore! The marriage of the spices is a DELIGHT to the taste buds! Take heed to the part about the seeds of the chilis though!